NEW YORK — A survey of small business owners showed they didn’t want the government to be invisible in their businesses, but it should be helpful instead of a hindrance. NEW YORK — Small businesses can get frustrated when government gets in the way of operations, but a survey found that there are some things businesses want from their government, according to the Huffington Post. The 2014 Small Business Friendliness Survey gauged opinions from thousands of American small business owners. Small businesses may be upset about regulatory or tax burdens, but they value things like training and support offered by governments, said the article. 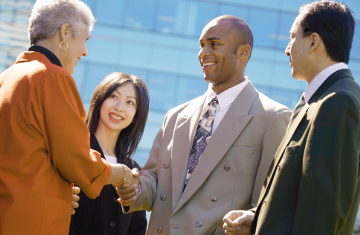 Small business professionals often benefit from networking events provided by government programs, shared the article. Fifty-seven percent of those surveyed said they had never run a business before. According to the article, the survey brings up several lessons for policymakers, including: Streamline the rules for starting a business; simplify tax rules; publicize available assistance; and make licenses and permits simple to obtain.